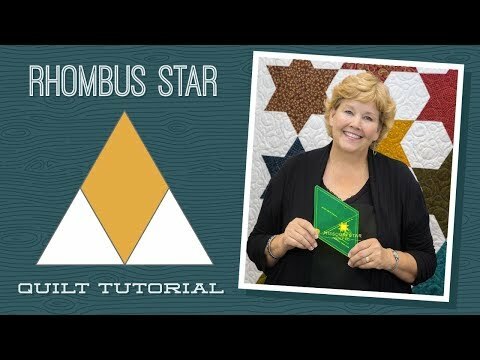 Missouri Star Farmstead Harvest Rhombus Star Kit - Missouri Star Quilt Co. - Missouri Star Quilt Co.
Bring the charm of the farmstead to your home with this enchanting quilt featuring clever rhombus stars in a rich, autumn palette. 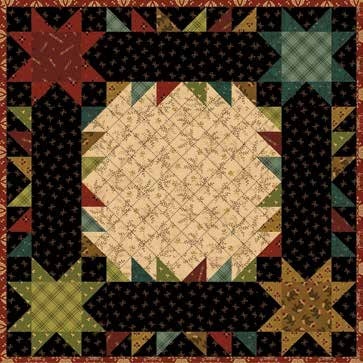 Designed for Missouri Star Quilt Co., this pieced quilt kit contains a pattern and Farmstead Harvest fabrics for the top and binding, including precut fat quarters, by Kim Diehl for Henry Glass. Backing sold separately, 5 1/2 yards needed. We recommend Farmstead Harvest - Rings and Dots Ebony Yardage.. 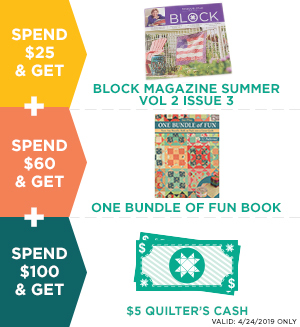 Uses the MSQC Large Rhombus Template for 10" Squares, sold separately.